Recipients of the Apex K2 Modular Hip Replacement System may be at risk for premature device failure within just a year of their initial implant surgery. While there is no indication that an Apex K2 hip implant recall will be announced in the U.S. in the near future, the system was voluntarily removed from the market in Australian after data indicated that the Apex K2 hip was associated with an unexpectedly high rate of early revision surgery. Individuals who experienced premature failure of this modular hip replacement may still be able to pursue legal action, even though there has not been an Apex K2 hip recall in the U.S. The nationwide law firm of Bernstein Liebhard LLP is now evaluating hip replacement lawsuits involving this device, and our attorneys are offering free legal reviews to any Apex K2 hip implant recipient who suffered complications related to the early failure of this product. To learn more about your legal options, please contact our office today by calling (888) 994-5118. 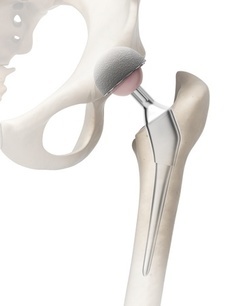 The Apex K2 Modular Hip Replacement is marketed by OMNI, a Massachusetts-based medical device manufacturer. The system consists of a femoral stem and interchangeable necks and heads that allow a surgeon to create a custom fit for each individual patient. The Apex K2 hip was launched on the U.S. market in 2004 by Apex Surgical, which was acquired by OMNIlifescience, Inc. that same year. OMNIlifescience was rebranded as OMNI in 2014. The U.S. Food & Drug Administration (FDA) approved the Apex K2 hip via its 510(k) clearance program, which does not require that a device undergo human testing if it is deemed “substantially equivalent” to a product that was previously approved by the agency. In 2012, the Australian Therapeutic Goods Administration (TGA) announced that it was cancelling its approval of the Apex K2 Femoral Stem due to an unexpectedly high rate of early revision surgeries. According to data collected by the Australian National Joint Replacement Registry, the cumulative revision rate for the Apex K2 Modular Hip Replacement System was 5.5% at 1 year from the time of implantation and 9.3% at 3 years. The average failure rate of comparable devices is only 1.6 % at 1 year and 2.8% at 3 years. What Should I do If I Have an Apex K2 Hip Implant? In 2012, the Australian TGA recommended that surgeons who implanted the Apex K2 Modular Hip Replacement System conduct annual clinical and radiological examinations on those patients and apprise them of the problems potentially associated with the device. Patients were advised to contact their doctor if they experienced pain in their hip or thigh. It could well be in your best interest to seek the advice of an attorney if you’ve experienced premature failure of an Apex K2 hip. You may be entitled to financial compensation to cover medical bills and other damages, even in the absence of an Apex K2 hip recall. If you are interested in pursuing your legal rights against OMNI, please call (888) 994-5118 to contact the legal staff at Bernstein Liebhard LLP today.